A very important report by Animal Nepal looking at Elephant trekking in Nepal. 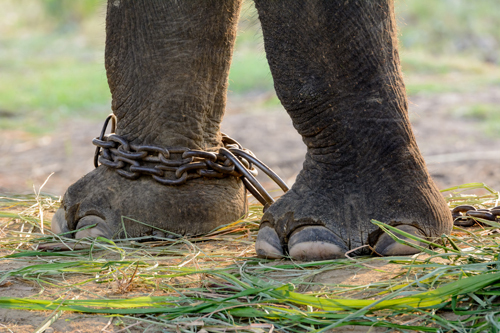 Its results show the conditions that Elephants must endure for the Elephant trekking business – and has relevance to all countries that practice Elephant trekking. Care for the Wild part-funded this report. Take a look below and click on the links to read the full report. 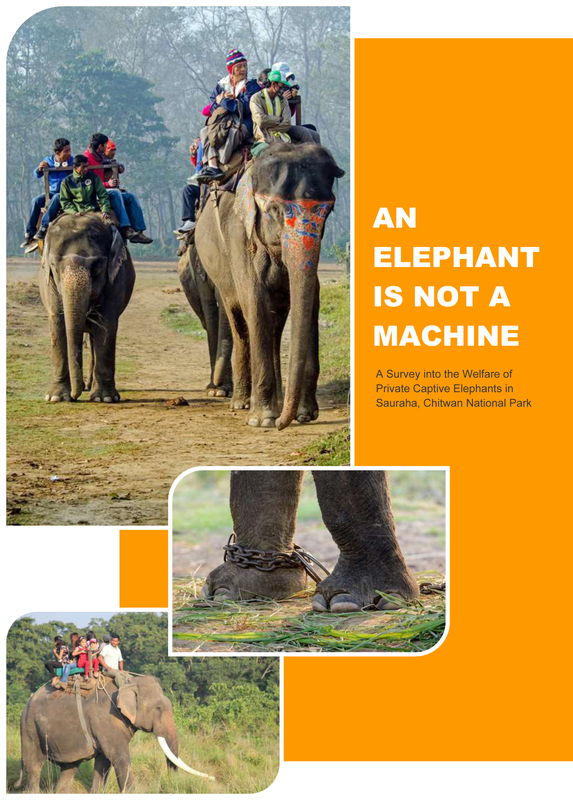 Animal Nepal published the important outcomes of a detailed survey into the welfare conditions of safari Elephants in Sauraha, Chitwan, called An Elephant Is Not A Machine. The survey of 42 privately owned ‘safari Elephant’ in Sauraha learns that their welfare is greatly compromised. According to Chris Pitt, Campaigns Manager for Care for the Wild International, the research is vital to improve conditions of safari Elephants in Chitwan. The survey learns that 18% score sufficient to fall into the category ‘Improving Conditions’; 82% of surveyed Elephants live under ‘Unsuitable Conditions’. No Elephant qualifies for ‘Excellent Conditions’. Welfare conditions fall short in many areas the main being freedom of movement, shelter conditions, nutrition, health and healthcare, safari management, as well as mahout welfare. Generally Elephant owners show a surprising lack of knowledge of Elephant behaviour and management. In turn mahouts tend to hold on to outdated beliefs about Elephant control and management. Exposure and training will address these issues and prepare owners and caretakers for scientific, humane and professional Elephant management. Improved legislation and detailed welfare standards and guidelines are needed to provide a framework for better safari Elephant management, says the report. Please SHARE to raise awareness. You can also receive regular updates and articles by clicking on the FOLLOW button in the top right-hand column. Please stimuli g these elephants. Stop hurting them and keeping them in captivity. Please offer all of them sanctuary now!